Now the land of Balaia, still riven by war, must live with the consequences. The Dawnthief spell – designed to destroy the world, but cast to save it – has torn a hole in the sky, a pathway into the dragon dimension, and, through it, unfriendly eyes are turning to Balaia. With war already sweeping the land, there are no armies to send against the dragons. All that stands between Balaia and complete dominion by these tyrannous beasts is a tiny, but legendary band of mercenaries: The Raven. 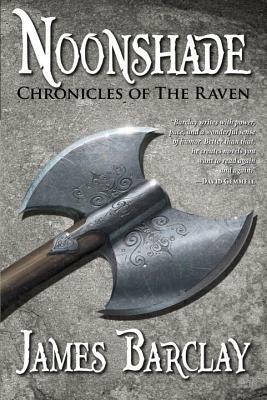 James Barclay has created a fantasy epic of rare intensity and blistering pace peopled by characters you can believe in.